I made a few more Minecraft animated pictures, and I'm really pleased about how they turned out. I decided to make them of people I know, using their personality. 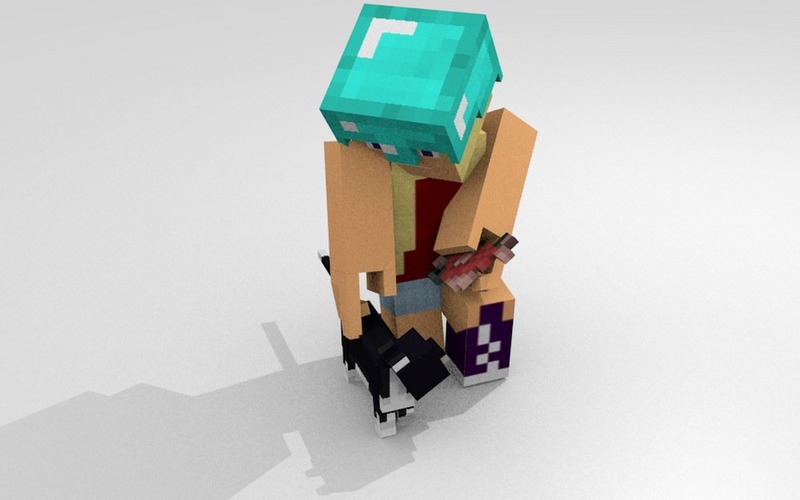 I made one of my sister, petting a cat and giving it some salmon (she LOVES animals and outdoor stuff), and one of me at the computer with a Raspberry Pi (still Minecraft). I also made one of my friend 2Cubed (never released it yet), also at the computer with an Arduino. I'm thinking of making a picture with more action in it, so I was making me killing a wither skeleton with my iron axe (nicknamed Shem). 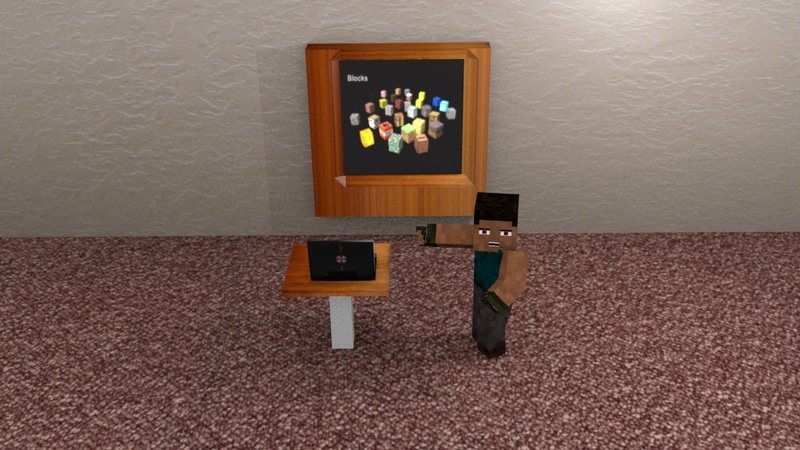 I put out a post on Google Plus, asking if anyone wanted a 3D picture of them. I actually got a request from Martin O'Hanlob, the Minecraft Pi person. I decided to make it look sort of like when he did that speech on Minecraft and Minecraft Pi at the Raspberry Jamboree convention. Not sure how accurate my picture was, but you can see it for yourself at the end of this post.